When the last BMW M3 rolled off the assembly line earlier this month in Germany it was a sad day for performance fans around the globe. The fourth-generation model was lightweight, fast and offered performance like few other cars on the planet. It featured an aluminum hood, plastic front body panels and a carbon fiber roof. 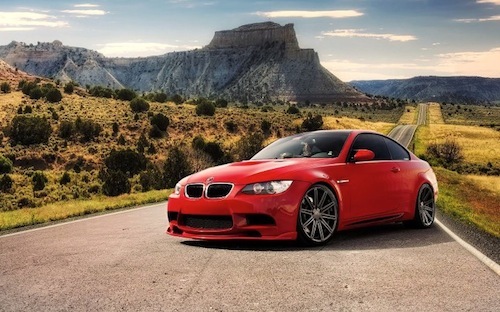 But with the end of an era signals more good things to come with a new 2014 BMW M4 slated to make its appearance soon. In an interview with Motor Trend, Friedrich Nitschke, managing director of BMW’s M Performance Automobiles division (MPA), tells them the new fifth-generation 2014 M4 will be making its world debut in Detroit in January 2014. And it will be better than anything BMW M GmbH has produced before. In the interview with MT, Friedrich Nitschke tells them a few details that can get performance fans excited. Nitschke confirms there will be a new fifth-generation M4 and he said the new performance model will have “one of the best engines we have ever done.” He doesn’t give specifics, but we can bet it will have more hp than the outgoing M3. It will also come in sedan, coupe and convertible variants. The new 2014 BMW M4 will feature a weight distribution of 50:50 which will give the performance model excellent handling on the road or track. The new M4 will come with a new differential, developed from the M5 with torque vectoring for optimal traction in wet or dry conditions. Those lightweight parts will include a carbon fiber roof, aluminum and magnesium and carbon fiber in the crash zones. An aluminum hood, and a new carbon fiber trunk lid. It has been seen testing with a wider front and rear track, new 20-inch performance wheels and tires and M hallmark quad exhaust tips. It will also come with a series of detailed suspension tweaks. It may come with a new 3.0-liter twin-turbocharged inline six with 450 horsepower. It will likely come mated to a six-speed manual or a seven-speed wet dual-clutch transmission. Look for the all-new fifth-generation BMW M4 to make its global debut at the 2014 North American International Auto Show in Detroit. Dates have been set for press previews on January 13 and 14. We look forward to seeing the new M4 that should be lighter, faster and more agile. To get a sneak peak at the BMW 435i M Performance Parts introduced by BMW at the Estoril race track in Portugal, watch BMW 435i Coupe M Performance Parts video from bimmerblog.